In 12 years, the Ogden Music Festival has grown into just the kind of thing you're looking for to start your summer off on a high note, whether its high, lonesome bluegrass or some hot licks on the fiddle. 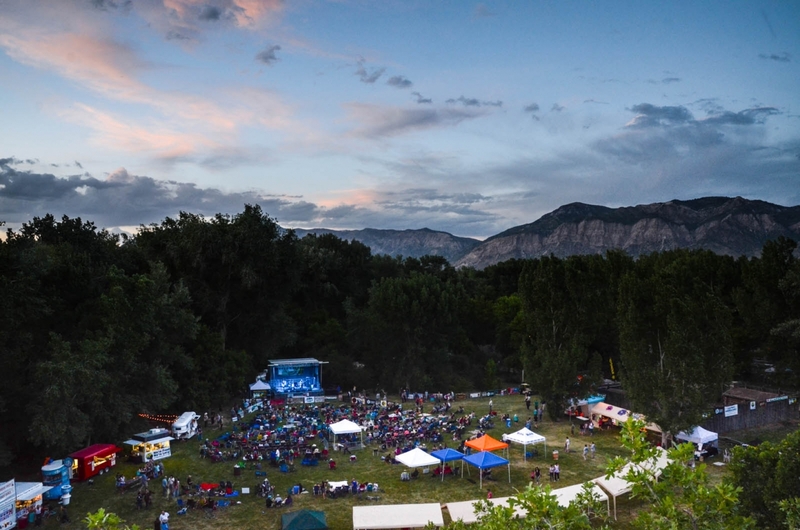 Set in an oasis just minutes from downtown Ogden, Weber County's Fort Buenaventura is Utah's oldest settlement and provides camping, walking and bike trails, the Weber River, and the perfect spot for our growing community of friends of acoustic and Americana music. Working together with the hundreds of artists, vendors, volunteers, sponsors, and logistical teams, it's our collective dream to promote and celebrate Ogden's arts, culture, and natural beauty to residents and visitors, alike. Kids, 16 and younger, are invited to attend the festival for free, with the hope that their experience with live, traditional music performed in an outdoor setting will inspire this next generation to keep these traditions alive. Kids will love the Imagine Music Musical Petting Zoo and other music and outdoor-themed crafts and activities. Generating its own unique culture and spirit, we find that festival goers not only fall [further] in love with their favorite performers and many previously unknown, but also the company and natural environment around them. There's plenty of melodic flavor to go around for all to enjoy during the festival, so be there, take part, get involved, and soak up every last bit of it!